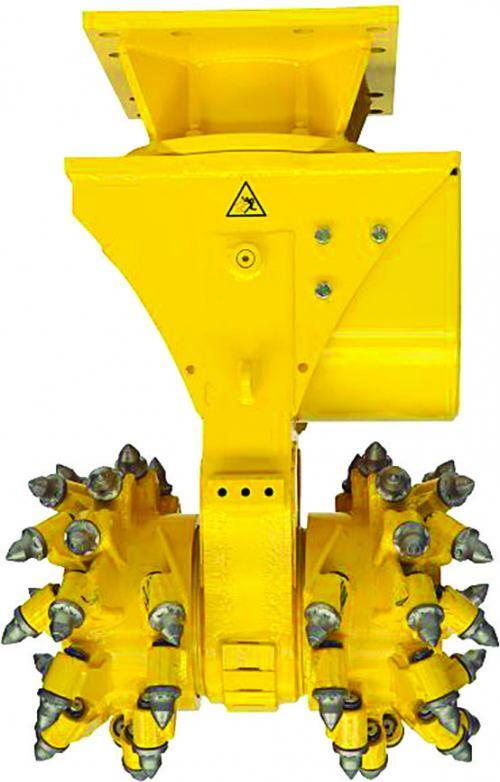 The DC 200 drum cutter, a new attachment for the DXR demolition robot product line, is made for surface profiling rock or concrete, trenching, excavating frozen soil, soft rock excavation in quarries, demolition, and dredging. The 56 tungsten carbide-tipped picks on each side of the machine rotate and chip away at the surface material to the desired depth or complete removal. If the material is not completely removed, a smoother, more uniform surface results as well as smaller, finer grain sizes so material can be removed more easily or used as backfill without additional crushing, Husqvarna says. The DC 200 is suitable for use on restricted jobsites and sensitive urban areas due to the low noise and low vibration levels.